Most quality leather shoes are designed to be refurbished. 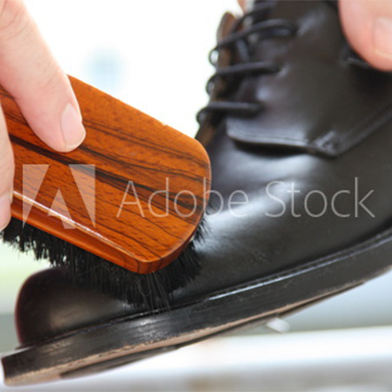 At First Class Cleaners, the Shoe Doctor is always in and ready to restore them to like-new condition. Our materials will wear better than those from most shoe manufacturers. Think of it as reinvesting in a prized possession. • Remove the worn soles, heel bases and top lifts. • Replace the soles with quality leather. • Install new leather heel bases and premium heel tips. • Deep clean the leather upper to remove the dirt and restore shine and polish. • Apply leather conditioners to restore the oils that make it soft and supple. This reconditioning process adds years of life to your shoes. The Shoe Doctor takes pride in bringing back your favorite shoes to like-new condition. This process takes less than 4 working days from start to finish Don’t wait until your shoes are worn down. You can visit the Shoe Doctor with new shoes. Here are a few ways we add value to new footwear.